Aluminum trim can be found on both the interior and exterior of many homes. This element can be used on window trim and gutter trim, and was commonly used in the construction of older homes. From time to time, you may wish to paint the aluminum to spruce up the home or paint the trim a new color to match the home's decor. Painting aluminum is an easy procedure. Scrub the aluminum with soapy water by combining 1 gallon of warm water and 1/4 cup of dish soap in a bucket. Dip the scrub brush into the soapy water, then scrub down the entire aluminum surface to remove dirt and residue. Wipe the aluminum with a clean, damp cloth and allow the area to fully dry. Paint a primer onto aluminum trim that already has a coating of paint. Make sure the primer you choose is safe for use on aluminum. Read the container label or ask a store associate for assistance. Allow the primer to fully dry. Make sure the paint is safe for aluminum surfaces. 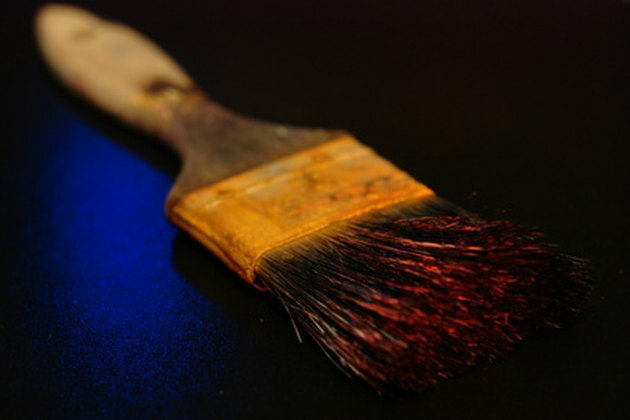 Dip a paintbrush into the paint, and brush the paint onto the aluminum using long, even strokes. Allow the paint to fully dry and apply a second coat, if necessary.